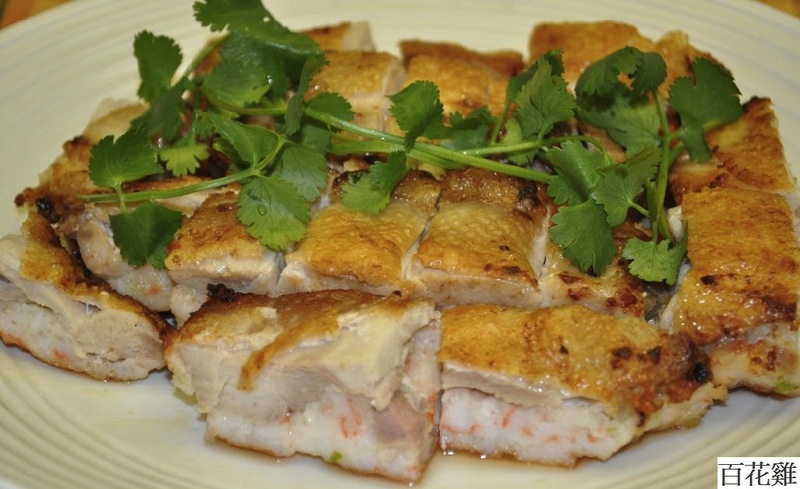 Crispy Shrimp-Stuffed Chicken adds a twist to the traditional hundred flower chicken dish: tender chicken is stuffed with shrimp, then deep fried to a crackling finish. In the traditional recipe, “hundred flowers” refers to what is placed inside the chicken to make this signature dish, from shrimp paste to mushrooms to crab, depending on the regional variation. This version of the chicken dish is stuffed with shrimp paste to add texture and a mild, sweet, surprising flavor. Chop shrimp into a paste, then add green onion, egg white, salt, white pepper, wine, and corn starch. Stir until the shrimp paste is well mixed, then blend sesame oil into the mixture until it is smooth. On the chicken legs, make some light vertical and horizontal cuts on the meat side. Do not make cuts in the the skin. This will help the shrimp paste adhere to the meat. 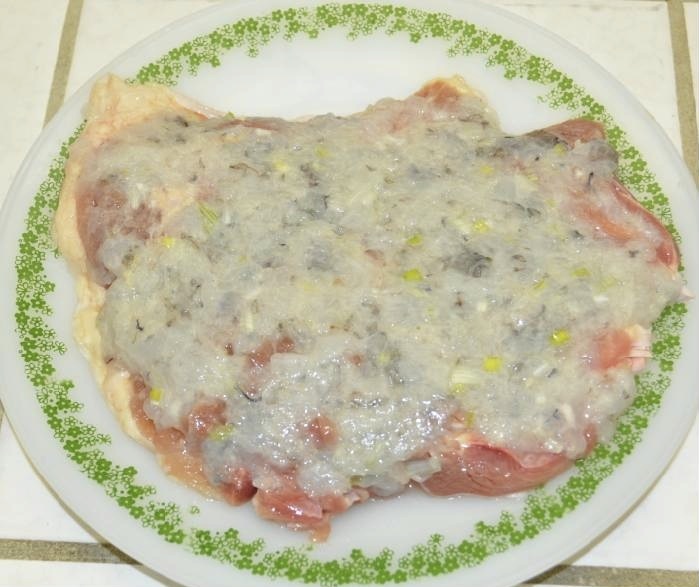 Lay one chicken leg flat on a plate with meat side up. Sprinkle some salt on the meat first, then evenly spread a layer of shrimp paste (1/2 of what you have made) onto the chicken. Place the second piece on a plate and do the same. Cover each plate with plastic wrap and refrigerate for 20 minutes. Heat 3 Tbsp. of cooking oil in a pan or skillet. Place one stuffed chicken in, skin side down, and pan fry for three minutes under low heat. Next, flip over the chicken, and pan fry the other side three to four minutes, covered, until it is light golden brown in color. Flip the chicken again and cook the skin side for another four to five minutes on low heat, covered, until the skin is also a light golden brown. Remove the cover, raise the heat to medium, and continue cooking for another one minute to make the chicken crispy, checking the skin occasionally to make sure it doesn’t burn. Remove chicken to a plate when it is done. Continue in the same way to cook the other stuffed chicken piece. Cut the chicken into pieces and garnish with greens. Sprinkle ground pepper as desired. Serve immediately. Make four to five servings. 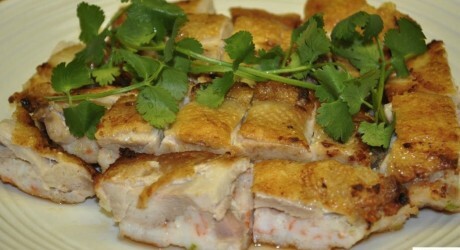 You can also deep fry the chicken fillet by using enough cooking oil to cover the fillet. This allows you to avoid having to flip the chicken to cook both sids, but you will need to have a deep fryer and use a larger quantity of cooking oil.